Hudson Ryle (rhymes with Lyle) Schrank was born on March 13, 2016; he was a little early at 35 weeks 5 days due to a placental abruption. No one knows the reasons or causes as to what happened to cause mom's placenta to abrupt but thankfully we got to the hospital in time to prepare for an emergency c-section. Hudson was born not breathing and with very low blood pressure due to the lack of oxygen and blood. Hudson was stabilized in the NICU at Community Hospital North but the doctors quickly realized his kidneys were not working as he simply was not urinating hardly anything at all. We were told that the lack of oxygen at birth could damage his organs and a MRI revealed lots of pockets of bruising on both sides of his brain as a result. 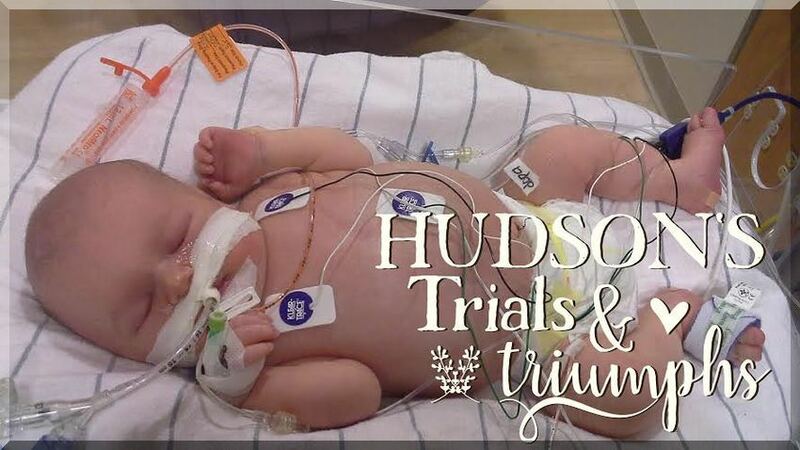 It became more apparent Hudson needed better care and was transferred to Riley Hospital at 5 days old. Aside from any brain damage the lack of oxygen could have caused, it became clear that his kidneys took the biggest hit. Hudson quickly swelled as the toxins in his body weren't being released. 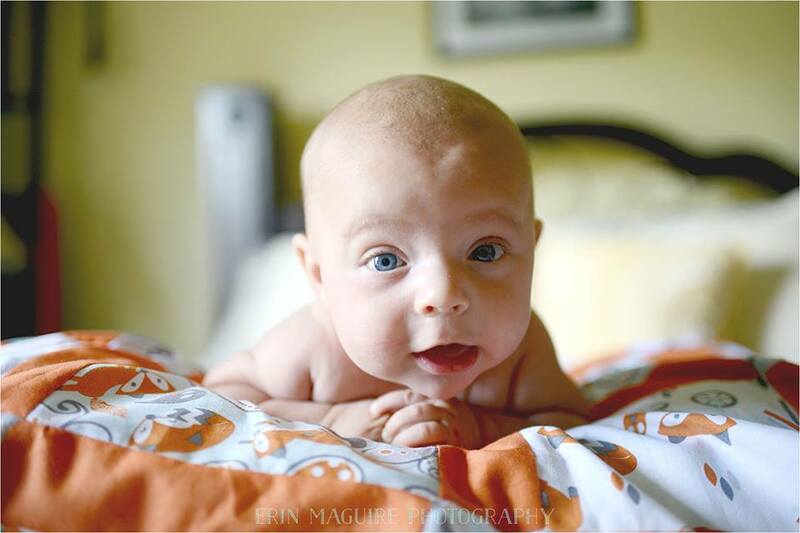 He was in such critical condition the doctors began talking about hospice care. 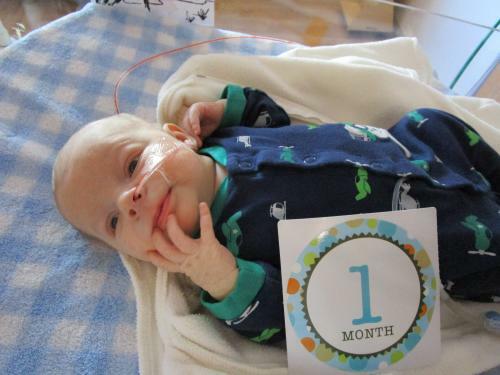 But at 10 days old, Hudson had surgery to insert a catheter into his peritoneum. That night he began peritoneal dialysis (PD). He has been on dialysis since that day and has improved drastically now that those toxins in his body are being removed. 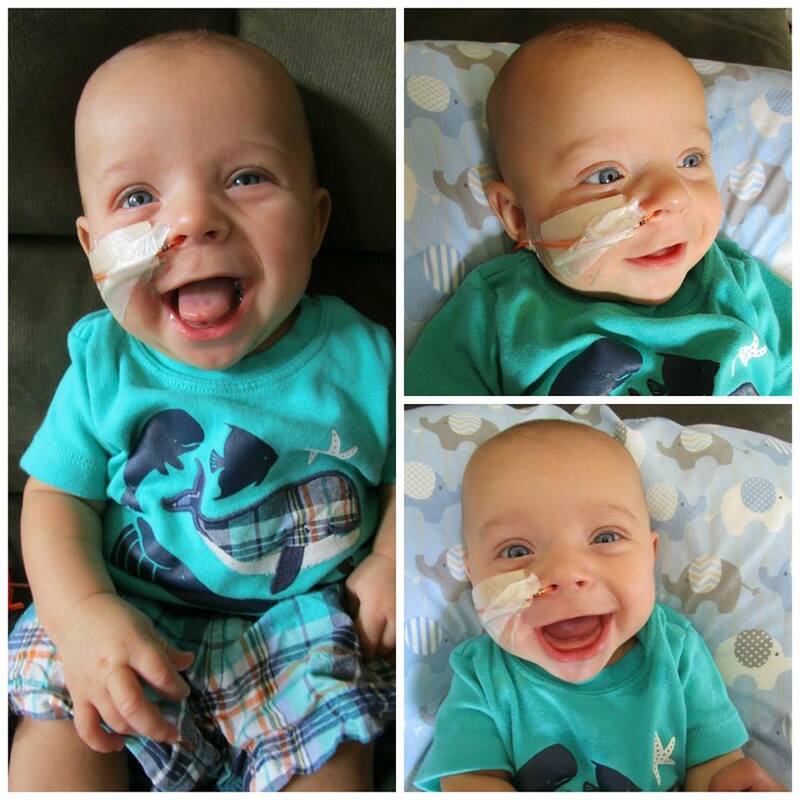 His mom and dad went through extensive training on how to care for Hudson and how to perform his dialysis at home. After 2 weeks of training for mom and dad and a 46 day hospital stay, Hudson was able to come home. Currently, Hudson does dialysis at night for 10 hours through a machine called a cycler. 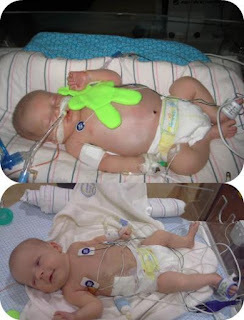 Dialysate fills his peritoneum and sits in him for about 55 minutes and then it gets drained out for 5 minutes. This repeats over 10 cycles. During the day Hudson takes 6-7 different medicines to undertake the work his kidneys aren't doing. Hudson does urinate but we know he does not expel the toxins from his body. It is unknown if his kidneys are slowly healing and will recover from the lack of oxygen at birth, but it is our hope that they will. If they do not recover, PD is a bridge to a kidney transplant when he is a toddler. It is unknown what neurological affects may happen to Hudson until he doesn't meet his milestones but today, he acts like a typical four month old baby! Hey! have not received any updates on Hudson. Is everything Ok?